CANCELED. Due to some unforeseen circumstances we regretfully have to cancel this event. However we are planning new concerts for 2019. We will let you know. Musicians: Mikko Raasakka clarinet and objects, Petri Kuljuntausta electric guitar and objects, and Ann Rosén electronics. Produced by Akusmata and Myymälä2. GRAPHITE BARRIER – an instrument, composition and project by Ann Rosén. 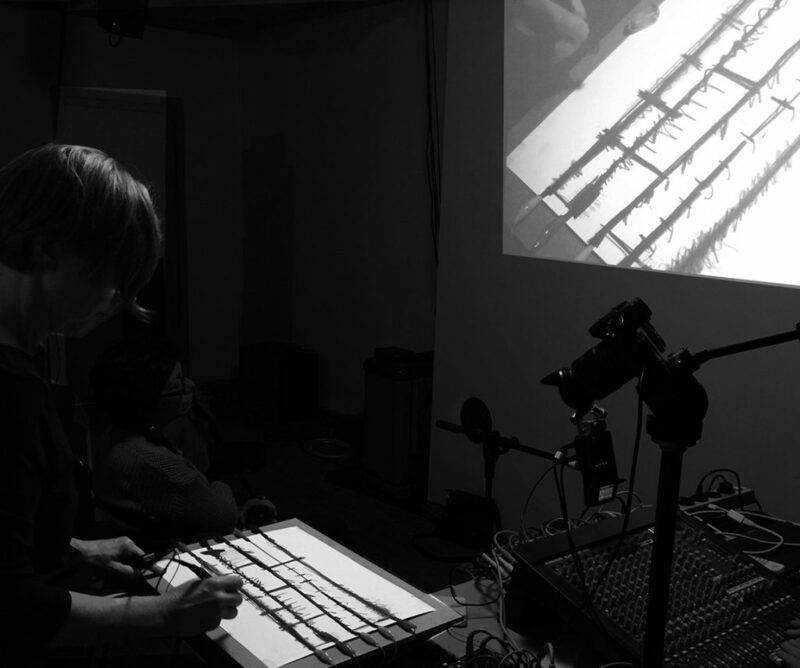 The Graphite Barrier instrument consists of graphite, paper, computer and Ann Rosén´s own software with which she can create and control sounds by drawing. Through playing the Graphite Barrier instrument one can play, conduct and generate graphic scores all at the same time. Ann Rosén‘s sound art involves expanding the palette of sounds using her own selfbuilt instruments. Glitches, sparks and clicks, white noise and electronic artefacts characterise her sound world, as do spatial soundscapes created using real-time synthesis. Many times there are visual elements of design, equipment and materials innovatively integrated into her performances. In recent years the composing – usually in combination with Ann Rosén’s self-made electronic musical instruments – has taken an increasingly large place in her oeuvre. In the work RESILIENCE and through the BARRIER ORCHESTRA, her long artistic activity is mirrored in modular pieces for the custom-built instruments KNEECUFF and INTEOCH, voice and mixed instrumentation. THE BARRIER ORCHESTRA and the piece RESILIENCE are part of Ann Rosén’s The Great Barrier Orchestra project, which aims to challenge our inner and outer barriers, deepen collaboration with the musicians, composing and developing new instruments, playing techniques, music and art. Mikko Raasakka (www.raasakka.net) is a freelance clarinetist living in Helsinki, Finland. Mikko completed his artistic doctorate at the Sibelius Academy 2005. He works as a soloist, orchestral and chamber musician, improviser and pedagogue. Mikko has premiered dozens of new clarinet works, including five concertos. 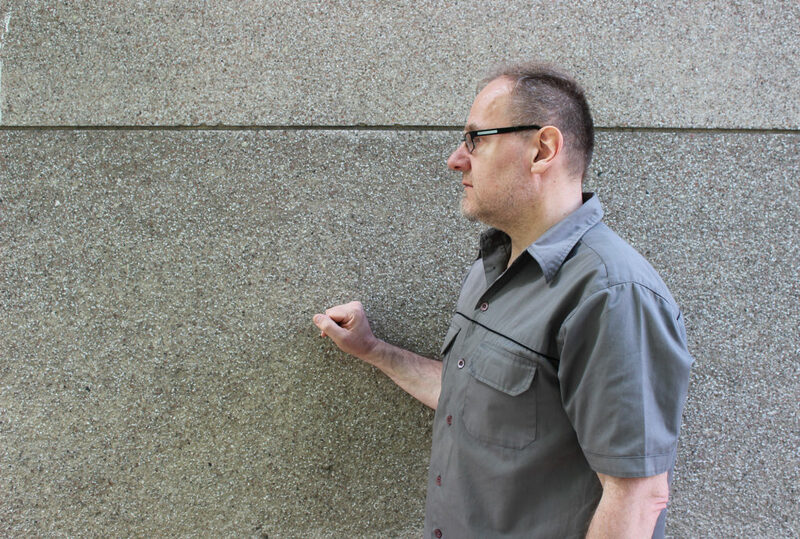 As a member of defunensemble, an ensemble devoted to contemporary electro acoustic music, he appears regularly at the European new music festivals. Mikko makes regularly recordings for the Finnish Broadcasting Company. His solo CD Eliangelis (Alba Records 2014) had an enthusiastic reception. 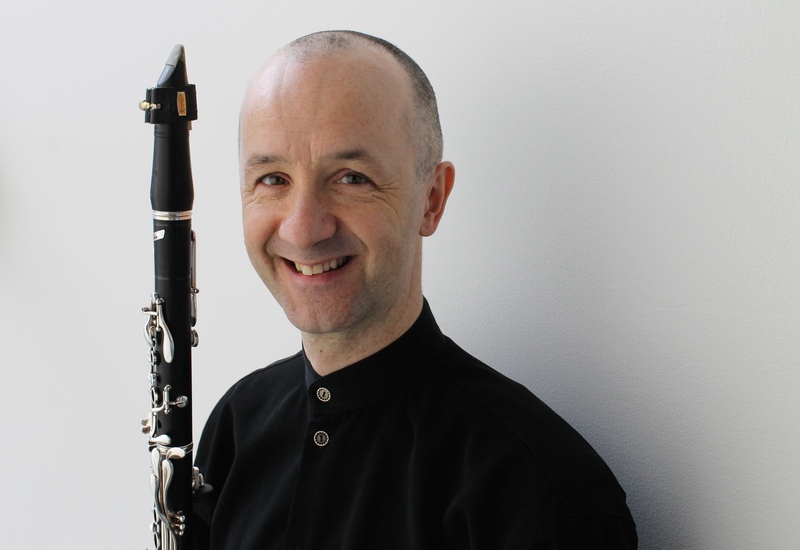 Mikko is the author of a guide on contemporary clarinet technique Exploring the clarinet. In addition to all members of the clarinet family Mikko plays the liru, an archaic Finnish folk clarinet. Friday, October 26th, 2018, at 19:30. OWL derives from the highly creative environment for improvised music in Trondheim, Norway. 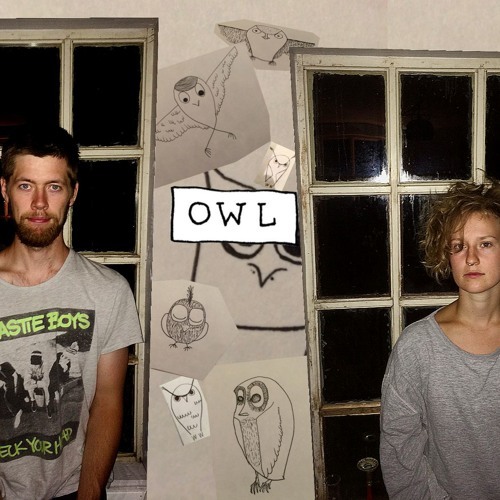 From a common interest in finding new sounds and exploring the improvisational forms, OWL became a natural duo and a workplace for these experimentations. Both members, Karl Bjorå and Signe Emmeluth, are highly regarded instrumentalists on the Scandinavian scene for jazz and improvised music, but found extended techniques and electronics to be the most constructive way of developing new shapes and sounds. Since the start in 2016, OWL has been more or less a workspace and a creative forum for constructive conversations about music and its parametres. As a result of this work, the duo has now been featured on more and more concert series and festivals, both in Scandinavia and the rest of Europe, and continue to increase their live activity.